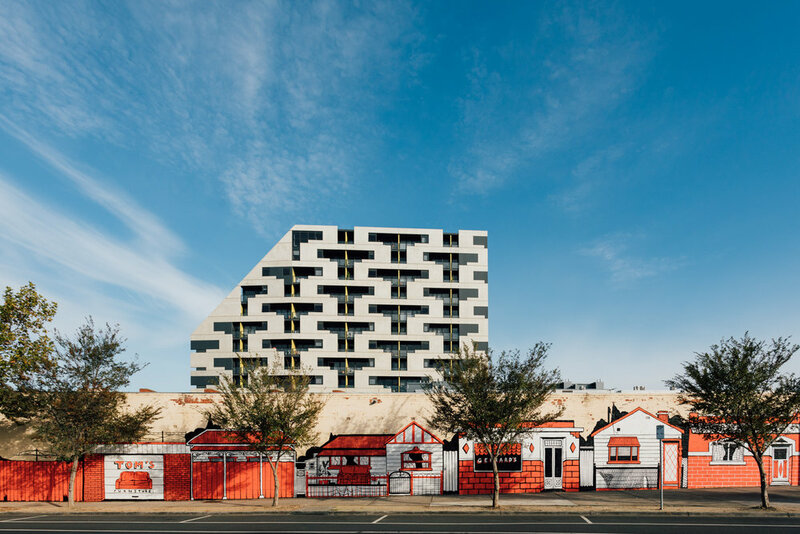 Footscray Art Prize — Tom Gerrard Tom Gerrard was a finilist of the 2017 Footscray Art Prize. 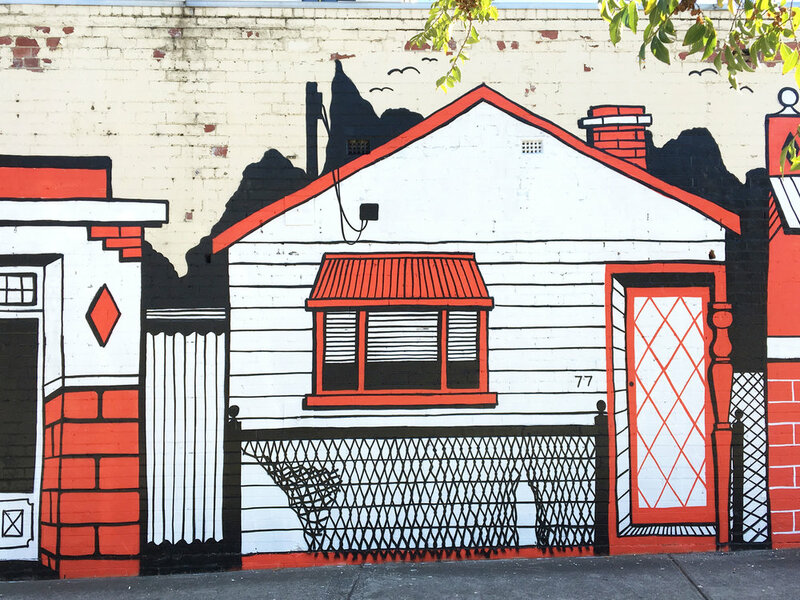 His mural on Barkly street refrences the changing face of the suburb. As a finalist of the Footscray Art Prize 2017, I was asked to paint a mural in the centre of Footscray in Melbourne's inner west. For this mural I wanted to hi-light the changing face of the suburbs architecture and and pay homage to the local mid century houses and shops that I grew up amongst.